Earlier in the week, I was having a little fun with Instagram stories and created a poll over which article to write next. 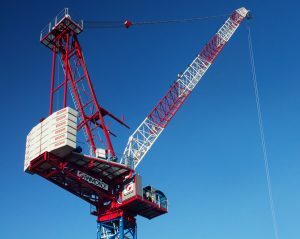 Do I write about Terex Cranes or Raimondi Cranes? The following morning, I woke up to the results. The results landed us with this article about Raimondi Crane’s flagship LR330 luffing tower crane. It’s never the crane or the machines themselves that capture our imagination. And the new LR330 comes with some serious numbers, numbers that Eng. Domenic Ciano, Technical Director and the team from Raimondi Cranes, can be proud of. 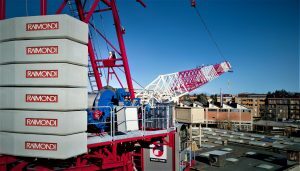 The LR330 luffing crane can reach 60m and still lift 3.3t which is what stirs the imagination about the sort of construction sites you could place this crane. Think of the possibilities……. 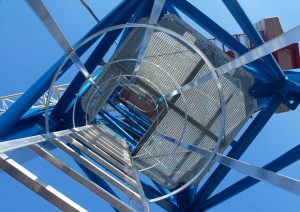 More to the point, what are you building that you need a 60m luffing crane? 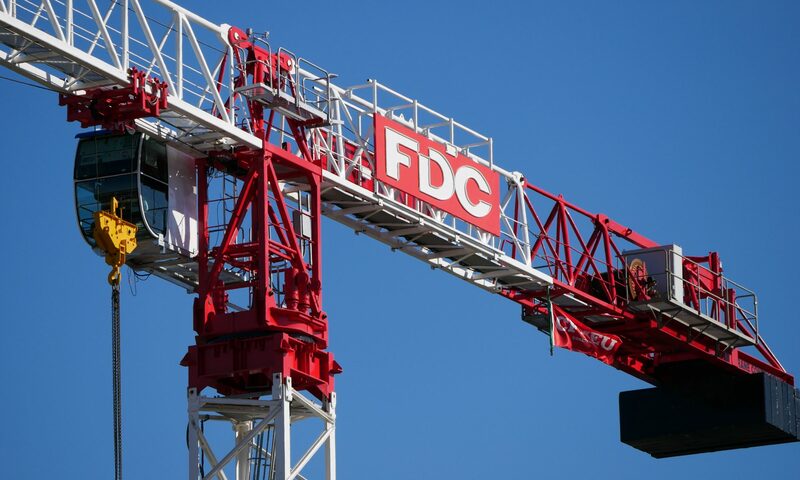 As each manufacturer introduces new models targeting different circumstances and conditions; it ends up being the construction team’s imagination, and the odd joke about sticking the largest crane you can find that ultimately leads to our choice. And when companies like Raimondi Cranes release a crane cram packed full of features like the LR330 (see infographic here) the reminiscing begins. We joke about past projects; past operators and we even joke about how the new features would have saved some heartache back in the day. Also looking at how Raimondi has developed a new equilateral triangular jib with all the benefits that come along with the new design. Such as decreased wind drag, simplified site assembly and being able to pack more onto a truck. I guess I am showing my site manager side when all I can think about is how much more of the jib I can fit on one truck. Think about the savings, especially when you know that your project’s budget is shot. At the end of the day, when a company like Raimondi Cranes have crane operators’ that enjoy taking the driver’s seat, it’s hard to not consider the LR330 as a serious option.